The post Loma Linda Meal Solutions Review appeared first on Divine Spice Box. 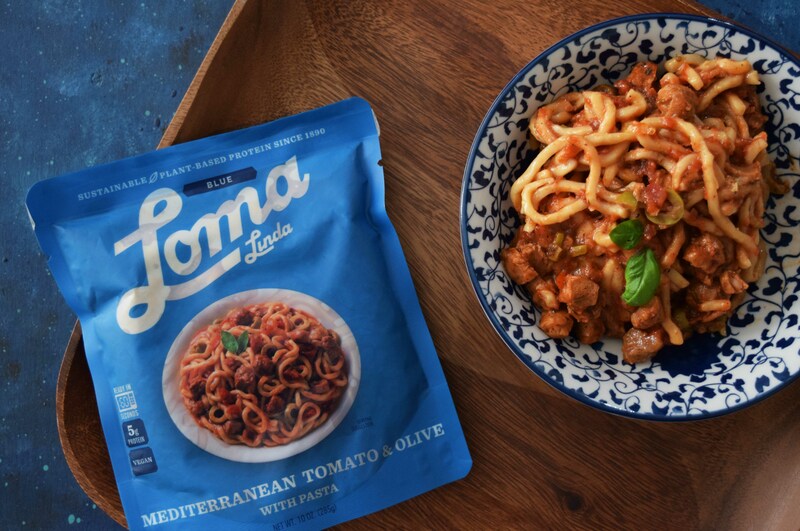 Today, I am reviewing some exciting “Meal Solutions” by Loma Linda and sharing my first impression with you all. 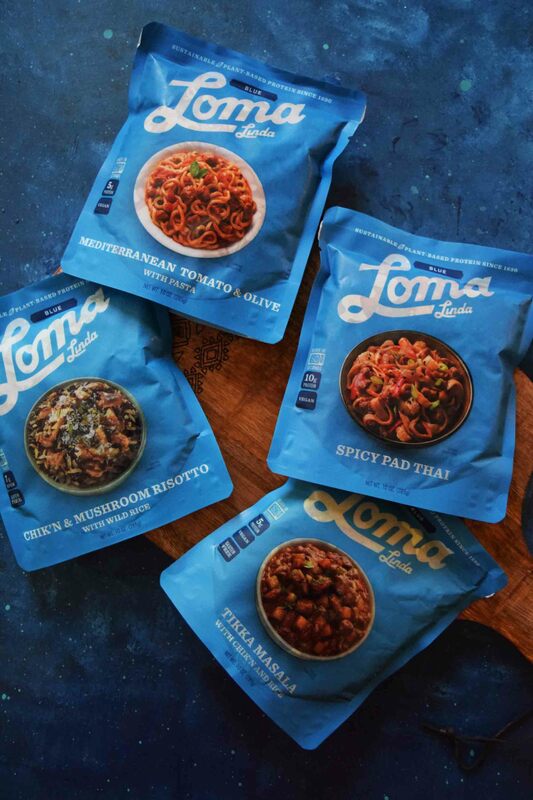 Not only that, I have also partnered with Loma Linda to give 2 of you a chance to win some of these delicious Meal solutions for yourself. Read on for more details. December for me is always a busy month. Amidst meeting yearly deadlines, decking up the house for the holidays and having people over for dinners… the list just does not end! There are many days in between the craziness when I just want to have a comforting meal without really donning my apron and getting my hands messy. The first thing that pops in my head is to load up on frozen meals but I think you would agree when I say that freezers are not usually empty – especially during Holidays ! I have the habit of prepping my ingredients in advance and my freezer is usually chockfull – year around: P I would invariably buy things in bulk and store them in my freezer. With a rental apartment, the freezer isn’t exactly huge and that makes it tough to store those frozen meals. Please tell me I am not the only one here with this problem! Shelf Stable – they don’t even need refrigeration! Added bonus when you want to take meals for a trip. 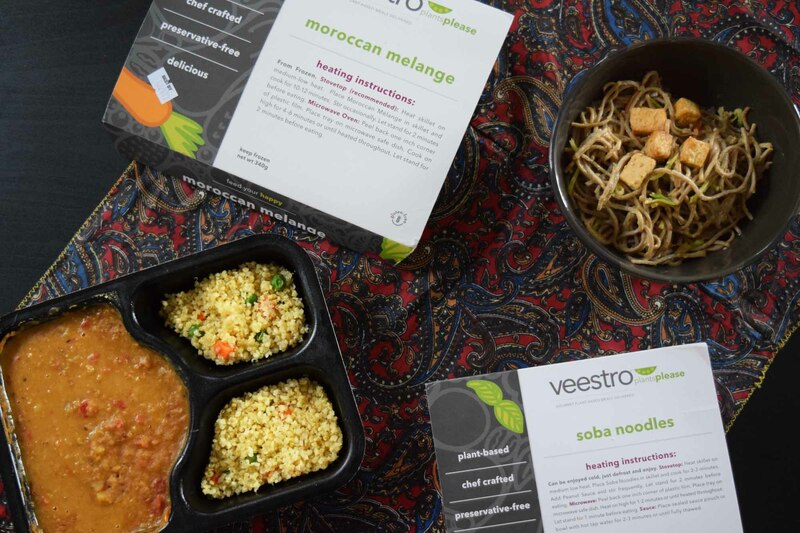 Heat and Eat – Easy to grab and go, the meal solutions come in individual microwaveable pouches which can be prepared in 1 minute. 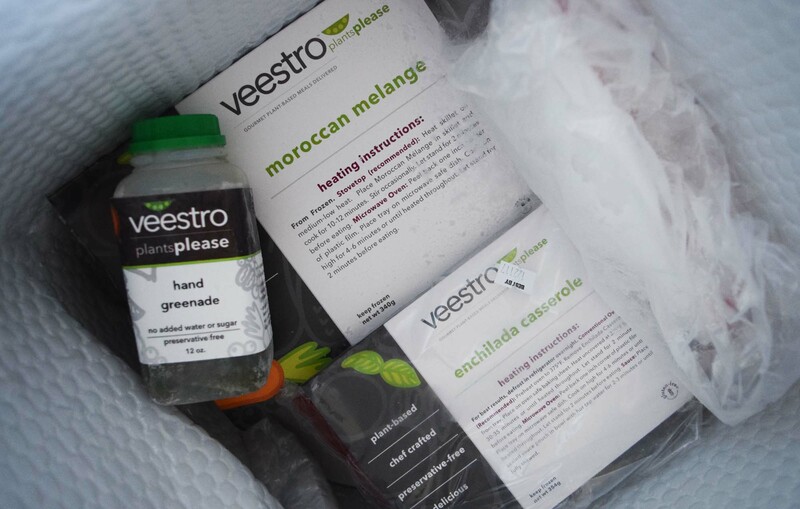 Vegetarian and Vegan – All the meal solutions are high protein, low fat, low cholesterol and low calories. Plus all of them are vegetarian and they also offer some vegan variants. No Preservatives, No trans Fat or Cholesterol. Just look at that bowl of deliciousness ! Who would believe it if I say this actually came out of a pouch!! All I did was take it out in a bowl, heat it up in the microwave for a minute and sprinkle some fresh garnish on top and voila! A hot bowl of spicy pad Thai is ready to be devoured. The flavors are easily identified as that of a traditional Pad Thai and I am really impressed with the texture of the noodles. The pack says it contains 2 servings but I would say it is more like a single serving if that is all that you are having for a meal. Even with that, the total comes out to be under 500 calories… which I think is pretty neat. I was seriously super excited about trying this one out ! Having made hundreds of batches of Tikka Masala in my life so far, I am kind of a snob when it comes to Indian flavors. 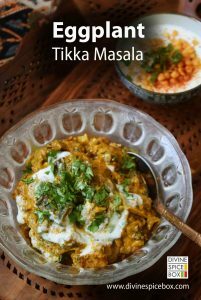 To my surprise, this Tikka Masala tastes pretty good and the Indian spice combinations packs a punch of flavor in this dish. Usually Tikka Masala is eaten with Rotis/Naans but I found the combination of Tikka Masala and rice working here really well. With a dash of lemon and some freshly chopped coriander, this Tikka Masala is easy to elevate and serve in front of guests! With a very interesting blend of flavors, this Meal solution is delightfully flavored! It has a subtle touch of earthiness coming from the herbs which strikes the perfect harmony of flavors in this dish. 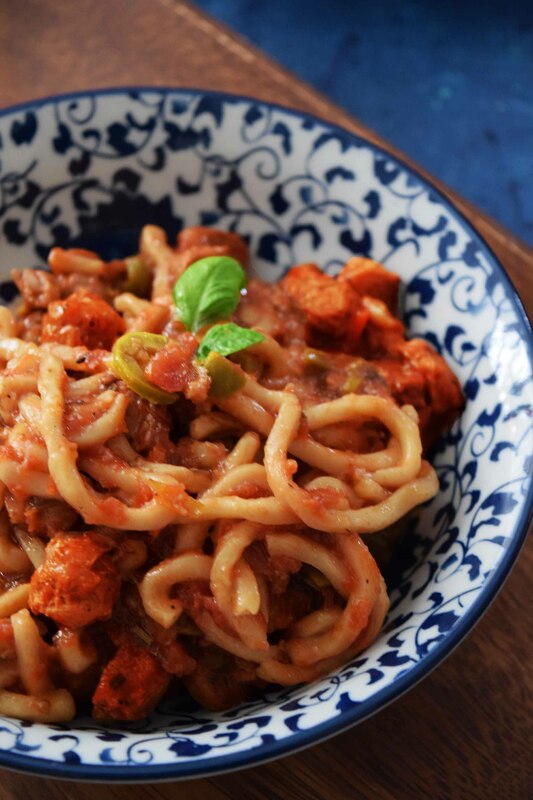 I was frankly a bit confused as this dish contains Udon noodles which comes from the Japanese cuisine and then it is flavored with Olives and Tomatoes which brings an Italian flare to this dish. 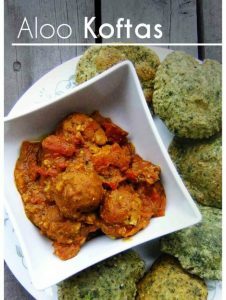 Finally, the spices in this dish is reminiscent of Mediterranean flavours making this meal solution a fusion in the true sense. I thought the Udon noodles were a bit softer than I would love but all in all, this dish works for my flavor palate. Add some vegan cheese on top with fresh chopped basil for serving! With just 262 calories and 14g proteins in the entire pouch, this is already winning my heart! Just like any good risotto, this dish is creamy, cheesy and has an umami flavor from the shiitake mushrooms and shallots. 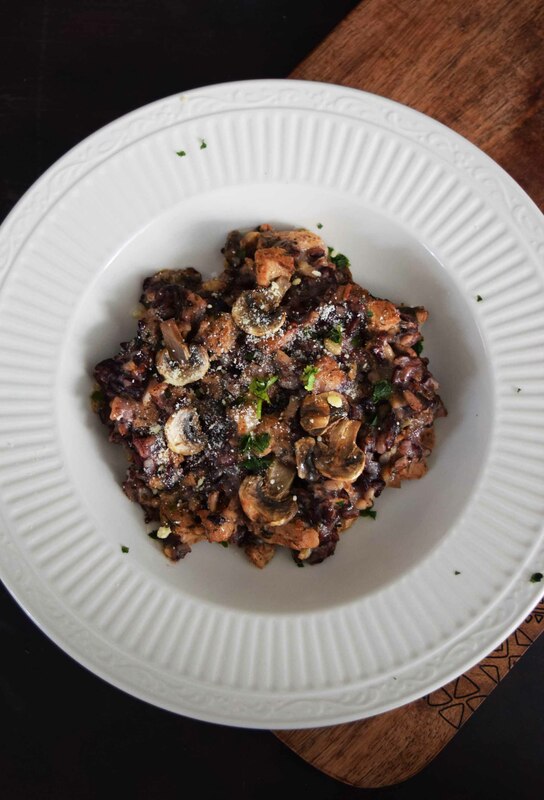 The ingredients are simple and clean which highlights the natural flavor of the black and brown rice and the earthiness of the mushrooms. For giving the finishing touches, I added some more roasted mushrooms on top and topped off with a generous amount of parmesan cheese. Perfectly balanced and delicious, I give a big thumbs up to this risotto. 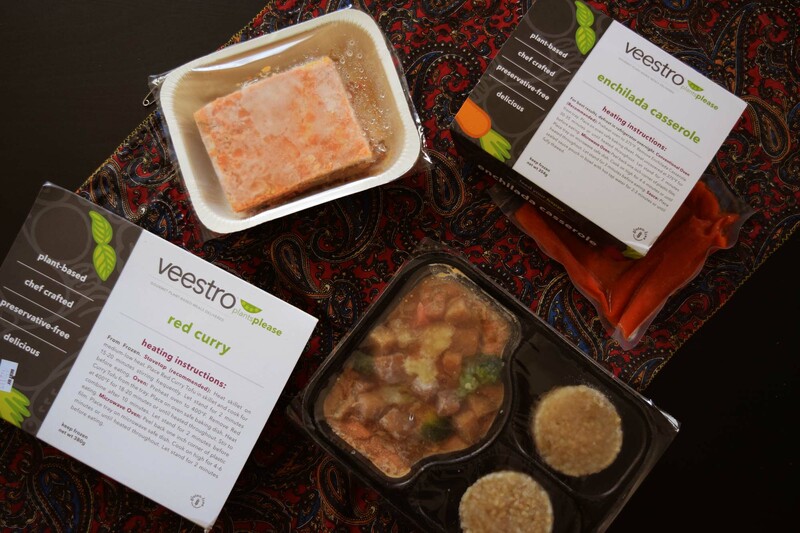 I have really enjoyed tasting these Meal solutions and I think the offerings are delightful. With the 4 pouches I got to try, I can already vouch for these Meal Solutions and I am pretty sure all of their variations are delicious. Being a shelf stable product, It is usually assumed that it would contain a lot of preservatives but I was really impressed to see that these products contains none of the bad stuff.. just simple clean ingredients. I would highly recommend these if you are looking for a space saving, shelf stable meal pouches. Not only can you eat them right from the pouch, I bet some of these variants will also work great as stuffings or side dishes Thank you Loma Linda for introducing me to these Meal solutions ! So, next time you go your grocery stores, look for these Meal solutions or simply order them online. Look for them at these retailers. 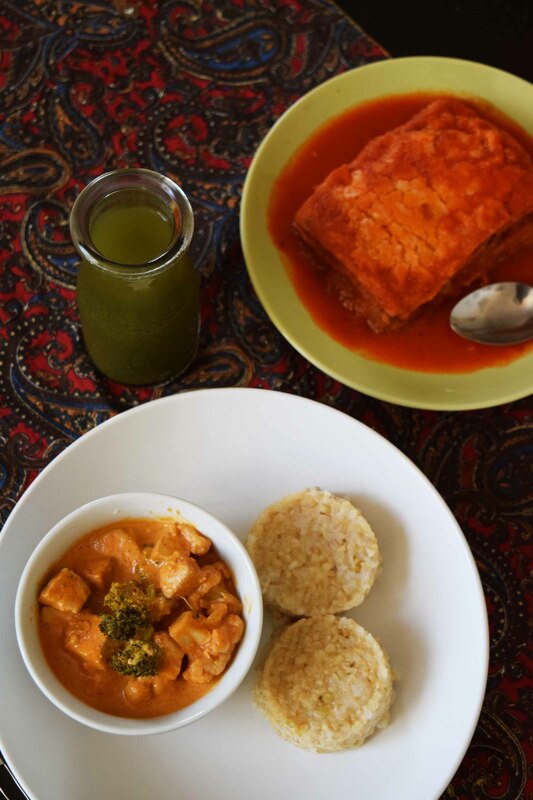 After reading the review, I am sure you are also excited to try out these Meal solutions and choose from your favorites yourself. Well, Loma Linda has graciously offered to giveaway 2 lucky winners some meal pouches. For entering, hop on to my Instagram feed and check out the giveaway details. 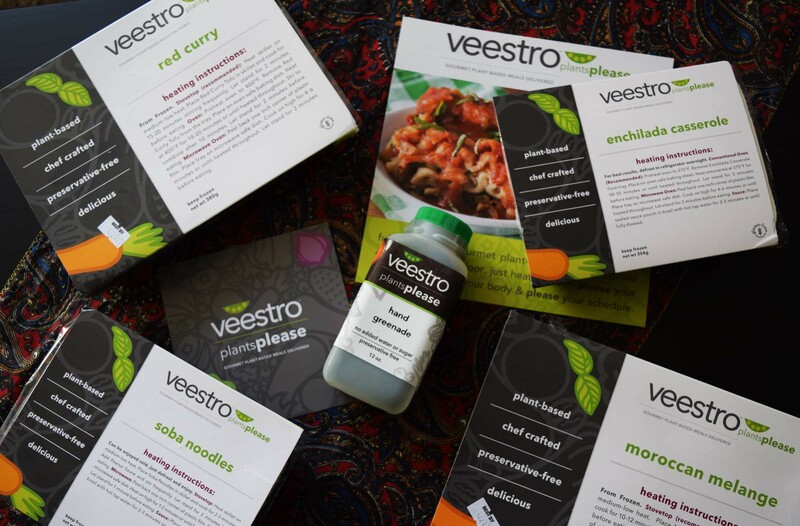 The post Veestro Plant Based Meals Review + Giveaway appeared first on Divine Spice Box. The post Green Peas Paratha appeared first on Divine Spice Box. 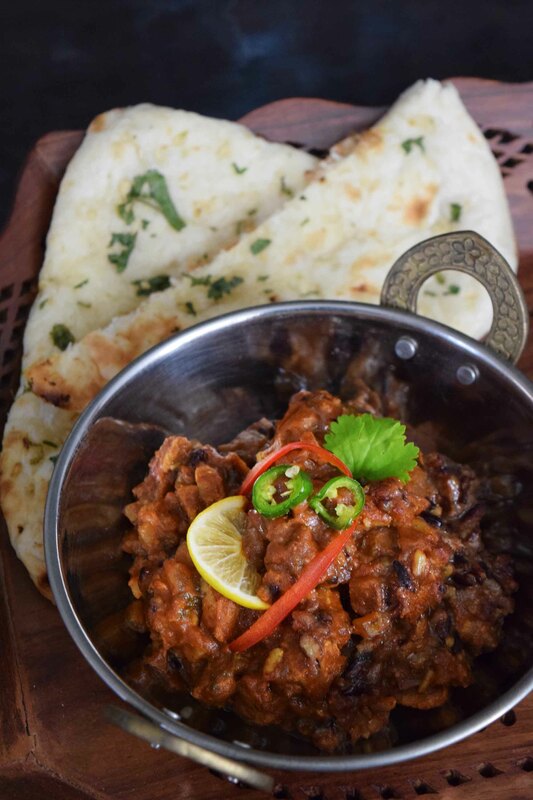 Curries might be the first thing that comes to mind for any one in mood for an Indian meal but we often forget to praise what makes a curry shine.. the accompanied breads!! 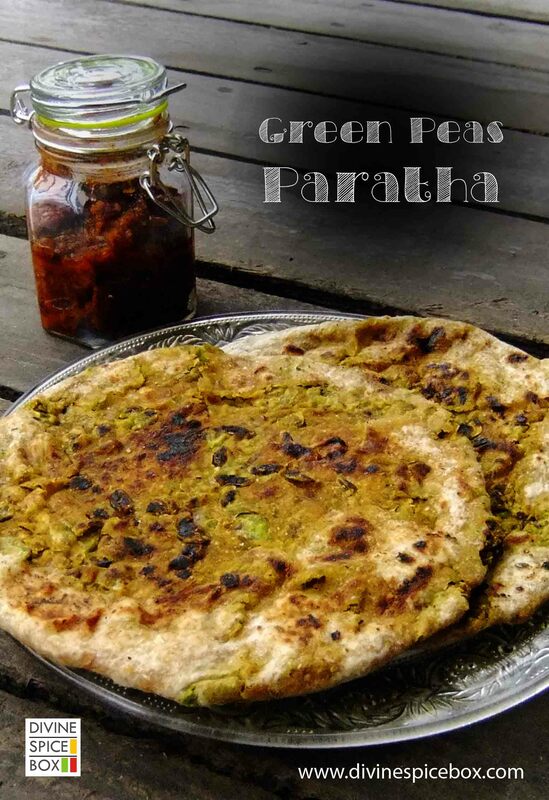 Today, I am placing one such flatbread on the center stage and basking in its glory – Parathas. 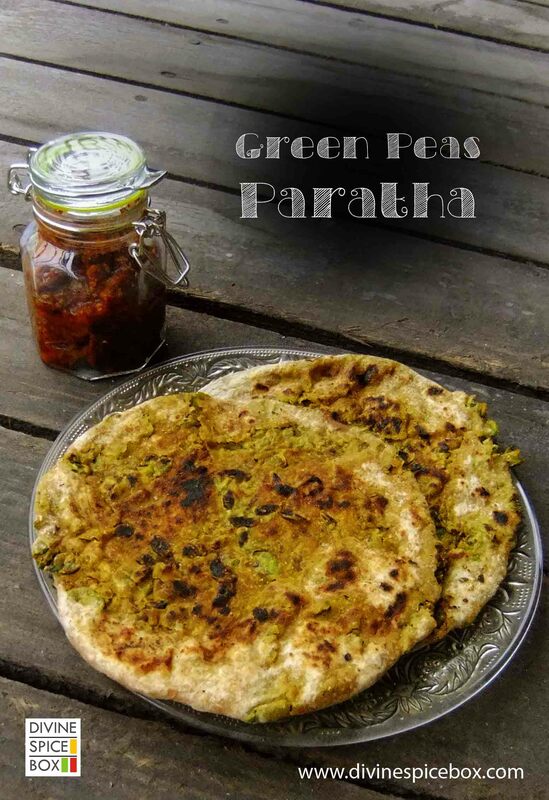 Let us learn how to make peas stuffed parathas. For those of you who are hearing the word “paratha” for the first time, paratha is a glorious version of the roti/chapati- an unleavened flatbread which is roasted using grease on a griddle. 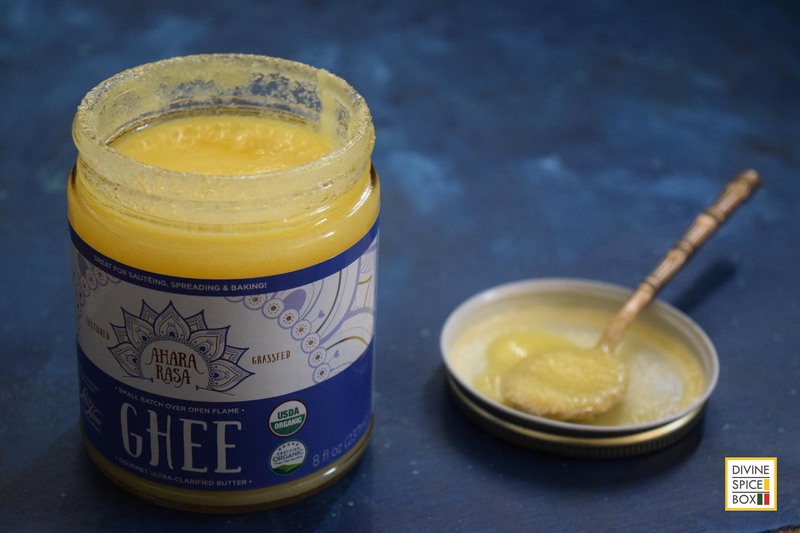 The grease was Ghee (clarified butter) traditionally and some still use ghee but many have switched to its lighter cousin, Oils. Parathas are so versatile that they can easily be defined as a cuisine in itself Parathas are usually cooked with plain or flavored dough and they are prepared both, with and without stuffing. Parathas are known for their crunchy, crust on top and soft, pillowy texture inside. They belong to the north Indian cuisine platter. The pea stuffed paratha that I am serving up in my kitchen today is nothing grand but it reminds me of home and is enough to make me all nostalgic. My mom makes the most delicious stuffed parathas and this is one of the “bucket list” food items on my mind whenever I visit home. There is a saying in our house ” parathe ke teen yaar – dahi – makhan – achaar” which means : Paratha’s best accompanied friends are dahi (curd/yogurt), Makhan (butter) and Achaar (pickle). I am feeling really hungry now… so, lets get cooking! Let us begin with preparing the stuffing : Heat a pan and add oil to it. Once hot, add in the onions and ginger & saute till the onions turn light brown. Finally, add in the chickpea flour/besan, dry mango powder and garam masala. Mix well and cook on medium flame for a couple more minutes till the besan is thoroughly cooked and the raw taste goes away. Remove in a mixing bowl. Mash the stuffing well and combine. Let the filling cool down. To make the parathas, divide the dough into 4-5 dough balls. Take one dough ball and using your fingers, flatten it into a bowl shape. Apply a little oil inside the dough ball and add a scoop of stuffing inside. Pinch the sides of the dough bowl to seal the stuffing inside the dough and using some flour and a rolling pin, roll the dough into a circular disc (paratha). Repeat with all the dough balls. I ended up making 6 parathas between me and hubby and we gobbled them all in 2 sessions They were delicious and so hearty .. it was the best brunch meal we could have asked for on a Saturday morning So, don’t wait too long and make these right away ! 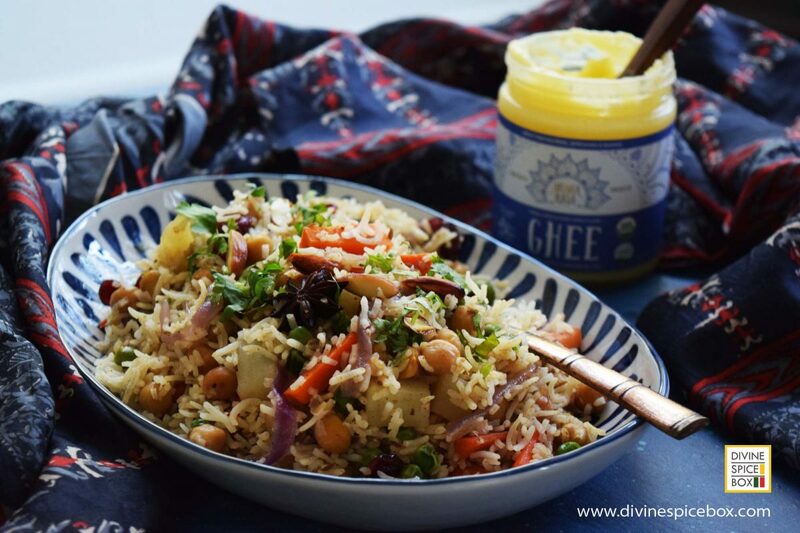 The post Chickpea vegetable pilaf + Ahara Rasa Ghee review appeared first on Divine Spice Box. 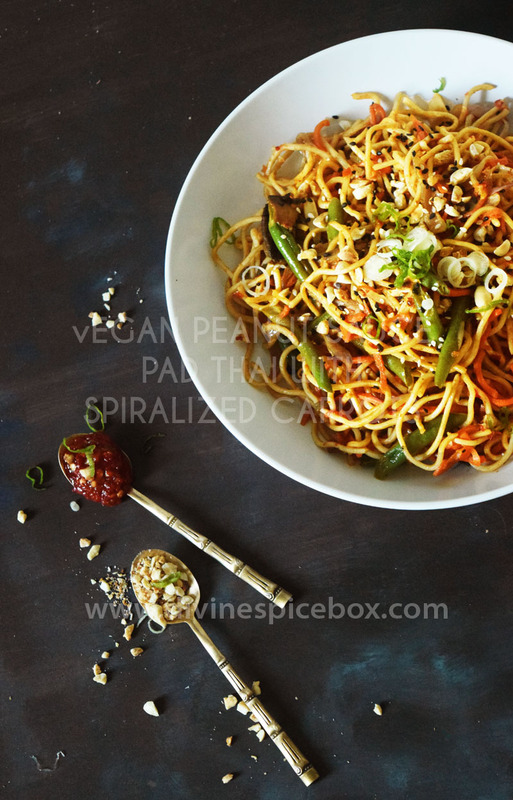 The post Sweet chili garlic noodles- 10 min recipe appeared first on Divine Spice Box. Do you also look for recipes for rice and noodles to compliment your Oriental stir fry dishes? Bored with the same old simple side of plain rice? Me too! Well, today I am bring to you a Noodle dish which is sweet, spicy and so addictive! 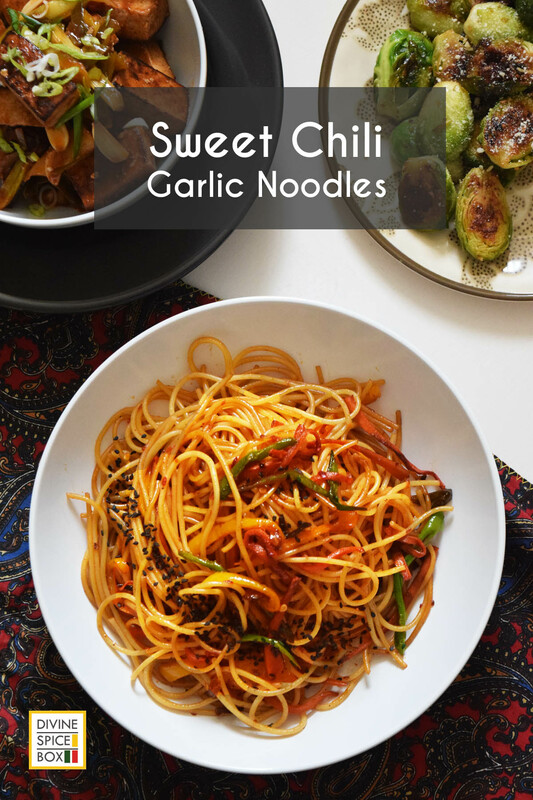 These Asian inspired sweet chili garlic noodles has bold flavors which not only make them excellent sides for your Asian entrees but is a complete dish on its own. Whats best – All you need is some basic pantry staples and just 10 minutes. Lets learn how to make these. I have been MIA from the blogosphere for quite sometime now. I am not even sure what I was busy doing…I guess I was in dire need of a break. Between some design work and food recipes/review projects, I just couldn’t organize my thoughts to pen down the recipes. 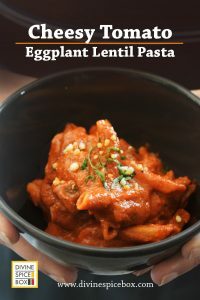 In my defense, I have been cooking loads To keep up with the busy schedule, I have been doing loads of fuss free- simple recipes lately and thought of sharing one such versatile recipe with you all here today. I have to confess something here – I hate to serve plain rice with my Oriental dishes. I know that restaurants do that because they like the flavors of the stir fry to be the hero of the meal … but personally, I find that really un-inspiring! The stir fry entrees are often not as spicy as I would love and then the plain rice further kills the heat and flavors for me. I often end up drowning my rice with loads of chili paste and sodium laden soy sauce Now that is the story of when we dine out but when I cook oriental at home, I always stir fry the noodle/rice as well. 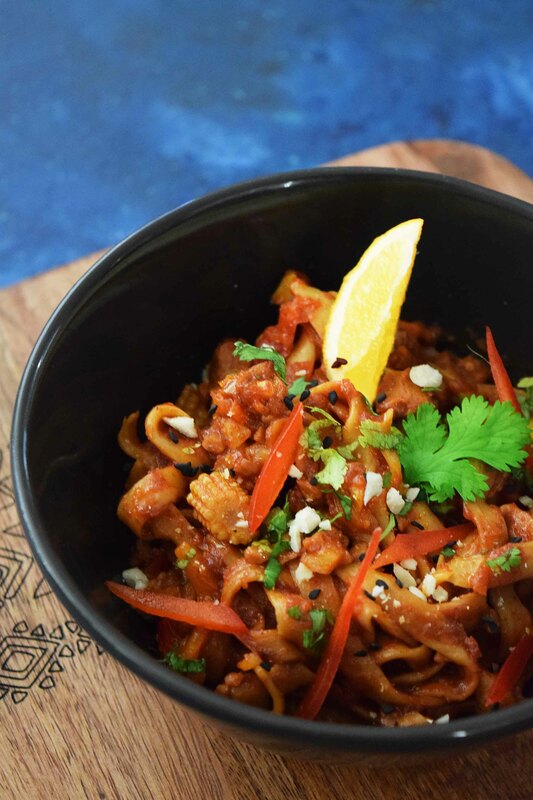 The dish I have for you today is bit on the spicier side, but if you prefer something a little more kid-friendly, try my my 10 min sesame garlic noodles. 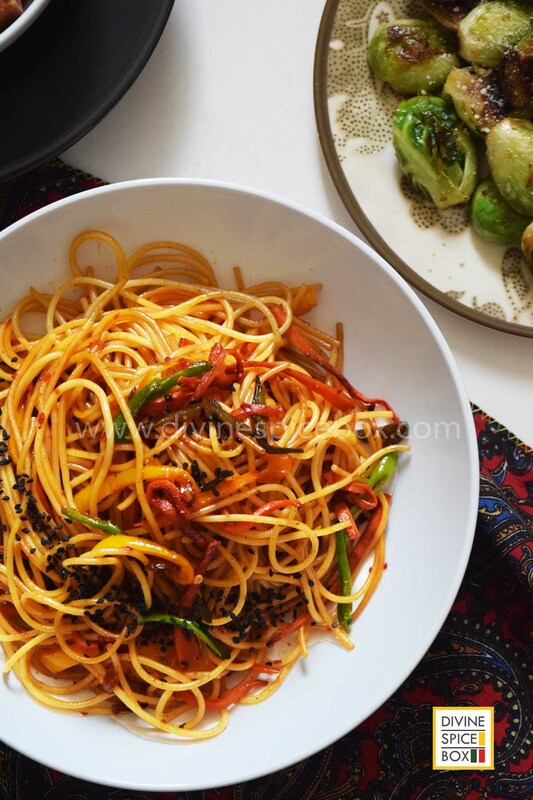 I paired these sweet chili garlic noodles with my all time favorite Kung Pao Tofu and some quick braised Brussels sprouts and it was a fabulous combination to say the least. I am these delicious pictures are making you as hungry as I am right now, so why waste any more time … let’s get cookin! Heat a wok and add the oil along with garlic and saute till he garlic is lightly golden in color. Quickly add in the cooked noodles and toss to mix everything well. Let it cook for 2-3 minutes on medium heat. Sprinkle the garnishing on top and serve right away! 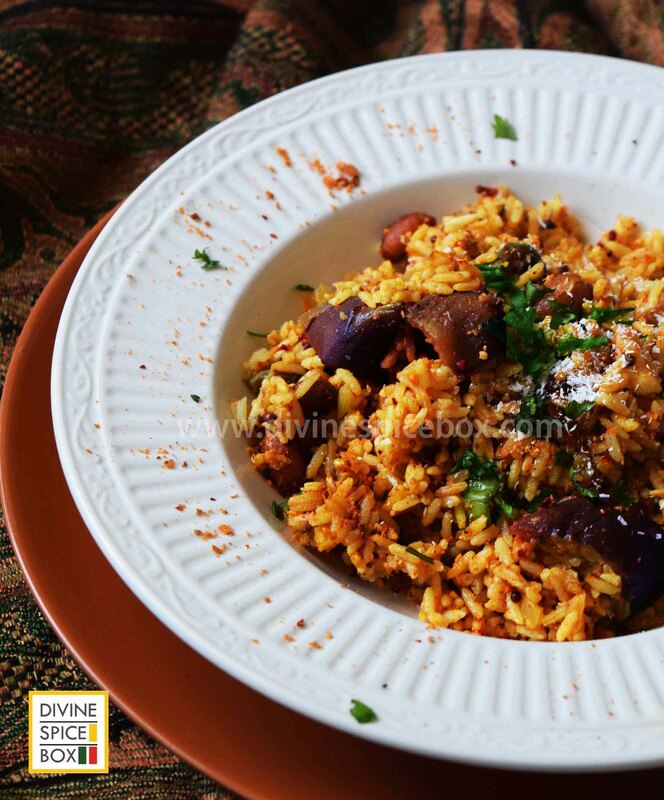 The post Aubergine rice pilaf with Indian spices (Vaangi Bhaat) appeared first on Divine Spice Box. Here is another dish which shouts out my love for aubergines loud and clear ! Aubergines are the perfect replacement to meat to create meatless master pieces and they never fail to impress me. 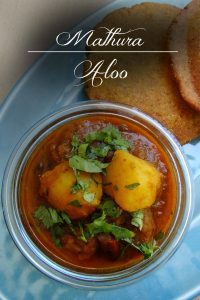 Today, I am bringing a dish which has become a recent favorite with my family and we make it pretty often! So, let us migrate to the south of India today and prepare some delicious Vaangi Bhaat. 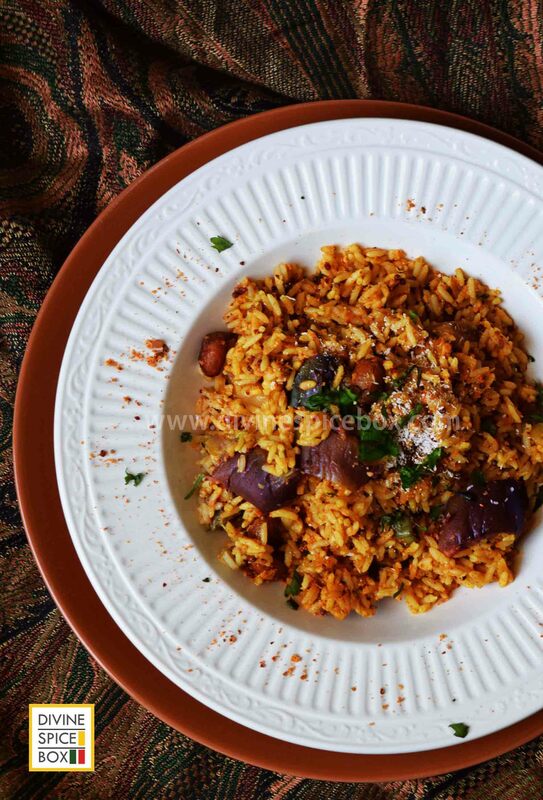 Vaangi Bhaat or Spiced Aubergine rice is a quintessential Karnataka rice preparation which is prepared using aubergines and a very special masala. 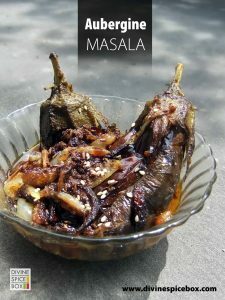 People make this dish with different variations and while many people omit the onion and garlic in the preparation (specially around festivities), I love to add to onions in mine. 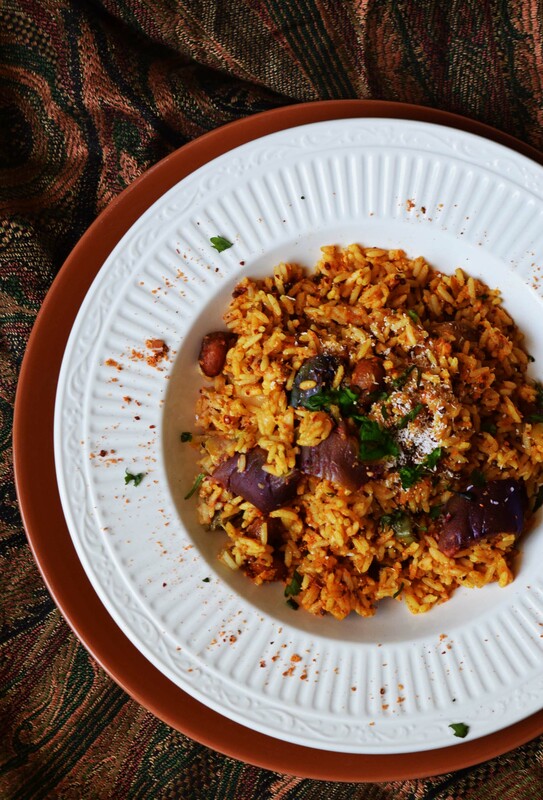 I have been doing many aubergine recipes lately and it was about time that I combined rice with aubergines. I invariably eat stuffed aubergines with a side of lentils and rice and to me, that is the perfect sunday lunch. 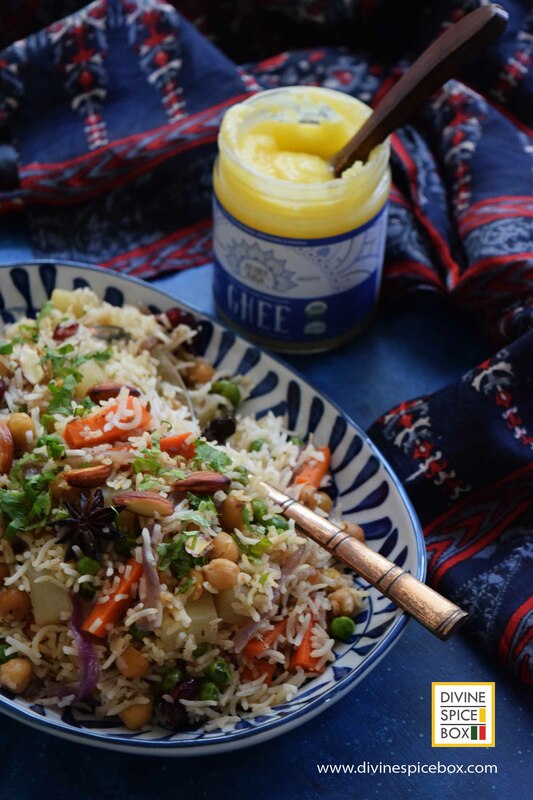 When I prepared stuffed aubergines last time, I ended up using the leftovers to prepare a quick stir fried rice pilaf and it was such a delightful combination! A little research on the internet and I got to know about Vaangi bhaat which instantly caught my attention and I decided to give it a go! So, I am sure all this talk is making you as hungry as I am… so, lets get cracking on the recipe . Take a skillet and heat it up. Add 1 tsp oil and roast the urad dal and chana dal till lightly golden brown. Remove and keep aside. Add the rest of the oil and roast sesame seeds, dried red chilies, coriander seeds and raw peanuts till slightly golden brown. Mix with the roasted dals. Add the rest of the ingredients and grind to a coarse masala. The Vaangi Bhaat masala is ready. In a non stick pan, heat the oil an roast the raw peanuts to golden brown. Remove and keep aside. In the same pan, add in the mustard seeds, curry leaves, ginger, onions and saute on medium high till golden brown. Next, add in the chopped eggplant and add in salt. Mix and cook on medium high till the eggplants are soft and cooked. Finally, add in the cooked rice, fresh coconut and fresh cilantro. Gently combine and serve hot. 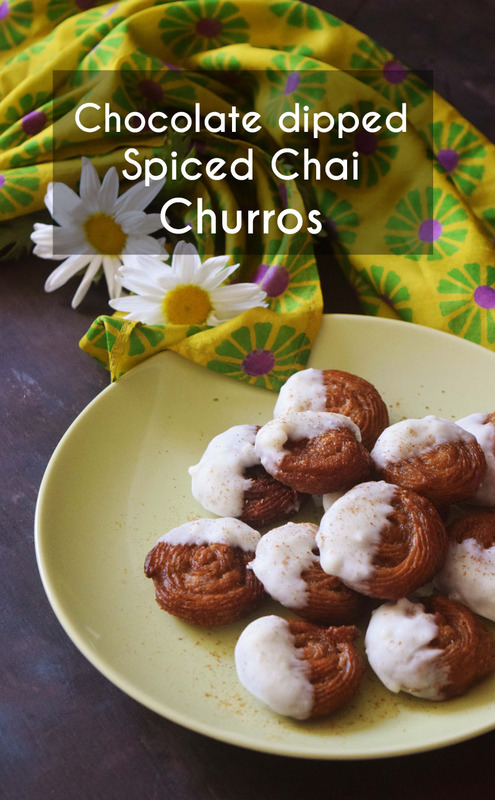 The post Chocolate Dipped Spiced Chai Churros + Bhakti chai Giveaway appeared first on Divine Spice Box. This post is going to be all about the Indian chai and the rituals we have associated with it. In India, it is often a practice to invite new acquaintances over for tea to initiate friendship and Indians take their chai pretty seriously. 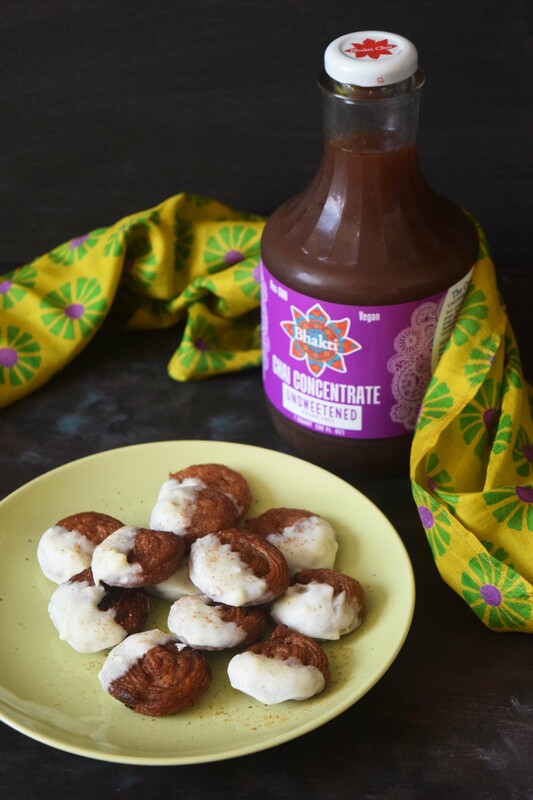 Today, we are using chai by brand Bhakti to make some India-inspired snacks which you can enjoy and there is an exciting GIVEAWAY which you don’t want to miss! Chai is quintessential to the Indian household morning routine. Each household has its own concoction (usually a heirloom recipe) and the method to make tea also varies across different parts of India Well, when we talk of evening teas (or chai time- as locals like to call it), you should also assume that it is not going to be just about tea. Indians love snacking along with their teas and we have thousands of variations for snacks- sweet and savory, baked and fried. One thing that remains constant though, is the humble tea! 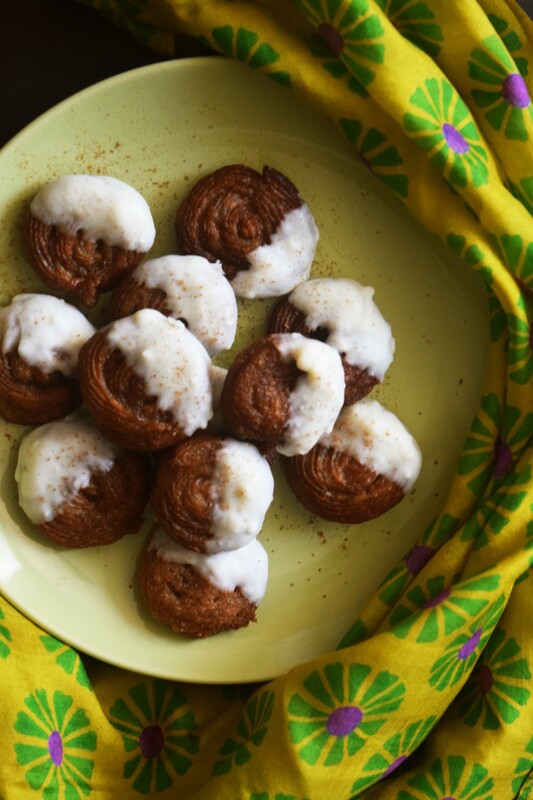 As I sat in my patio, sipping on my pipping hot Bhakti chai the other day, the flavors took me back to good times in India and I started to think of my favorite tea snack – Jalebis . 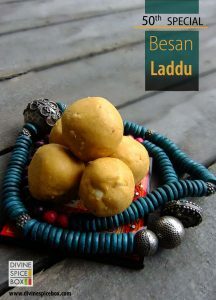 That really made me yearn for some hot jalebis (have not had one in many years now) and then another thought came to my mind – Why not re-create those memories with Bhakti? This recipe is my fusion take on the Indian Jalebis. Jalebis are traditionally fried fritters which are soaked in hot sugary and aromatic syrup. Today, I am making some churros which resembles Jalebis in looks but instead of soaking them, I am dipping them in white chocolate… because who can say no to chocolate, right? In a pan, heat the bhakti chai, sugar, salt, oil and bring to a boil. Next, add in the flour and whisk vigorously till it is combined well and no lumps are left. Let the mixture cool down. Using a pipping bag and star tip, pipe out the spirals onto a greased baking sheet and freeze it overnight. Once frozen, heat the oil and drop in the churro batter spirals. Fry till golden brown. Remove onto some paper towels and drain excess oil. Dip each churro half way and coat with white chocolate. Let the cool down in the refrigerator. Enjoy with Bhakti Chai! These Churros are delicious to say the least! Not only does the Bhakti chai bring a unique aromatic and a slightly spicy kick to these, the chocolate dipping makes these churros irresistible. Try them out!! Me and my husband gobbled up some churros hot from the fryer but I made an extra batch (which I had to hide so that we don’t end up eating them all :P) to cool off so that I could refrigerate them after I dipped them in white chocolate. 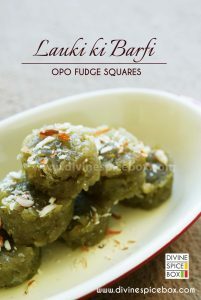 We enjoyed these the next day with some hot masala tea and it was just perfect. If you have not tried white chocolate with Indian chai masala, you are in for a big treat! 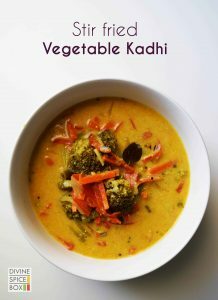 I am sure you would love to make this recipe on your own and would love to try some Bhakti products as well. To get you addicted to some Bhakti, here is your chance to win some VIP Bhakti coupons. Enter below and try your luck. This giveaway runs between 1st May 2017 (12 am PST) to 5th May 2017 (12 am PST). Only open to US residents. Good Luck! Don’t forget to share this giveaway with your friends. 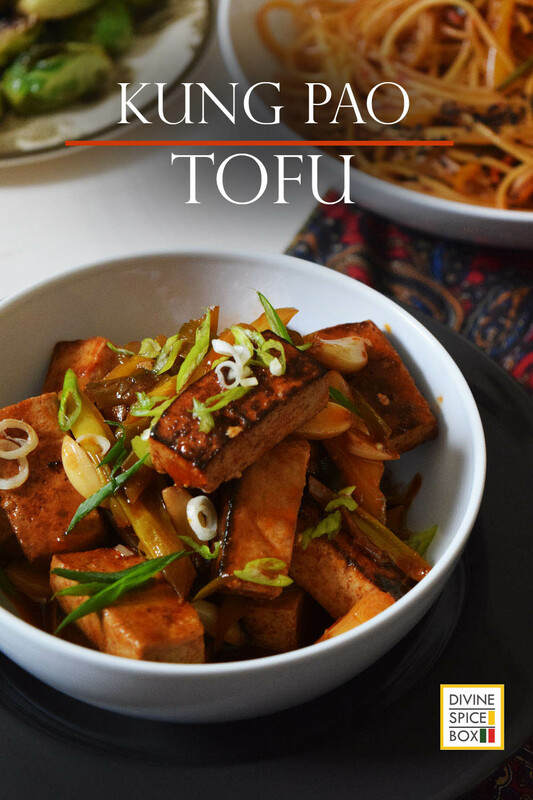 The post How to cook with Tofu + Kung Pao Tofu recipe appeared first on Divine Spice Box. Tofu, made from soybean curds, is naturally a gluten-free and low calorie ingredient which contains no cholesterol and is an excellent source of proteins. It is believed that Tofu helps in reducing the risk of various lifetsyle related diseases.Not only that, this plant based product comes in various forms, making it a really versatile ingredient to work with. 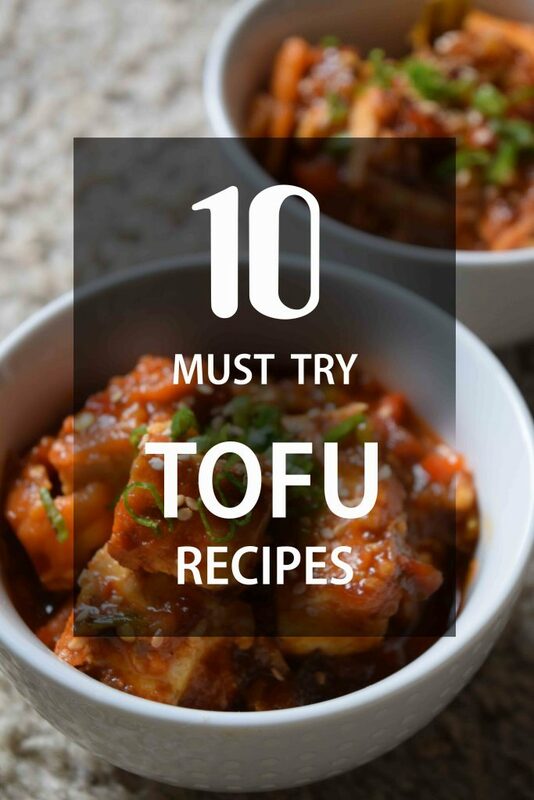 My personal fav is the firm tofu which I use in my soups, Indian curries, stir fries, noodles and what not. Press the Water out of Tofu before starting to cook with it . ALWAYS !! Not pressing the tofu is one of the biggest mistakes people make. Not only does all the water need to get out of the tofu so flavor can get in, but pressing the tofu changes its texture dramatically. The tofu goes from soft and spongy to firm and dense. Once the tofu is pressed, it soaks up the marination/ spices/ flavours like a sponge and just blends in with anything it is cooked with. 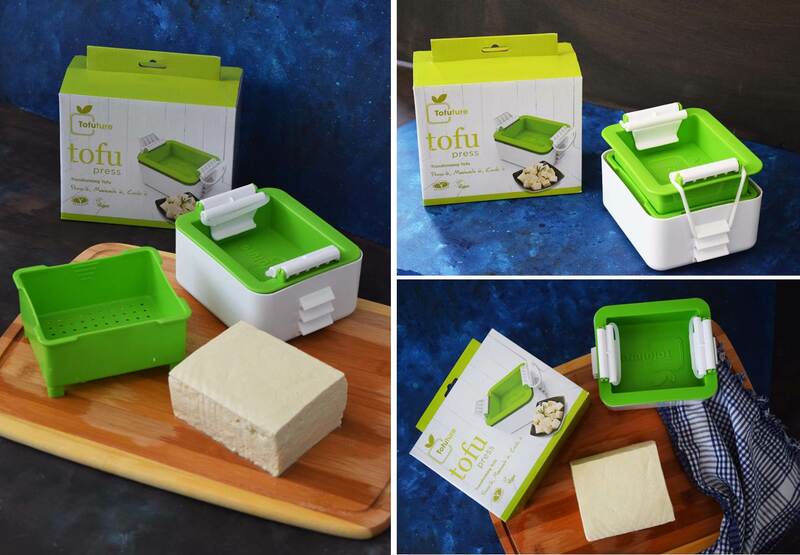 Pressing tofu can be a challenging task on its own but there are various products in the market now which can make your life really easy. Have you tried Tofuture? This product is made using 3 containers. Just place the slab of tofu in the perforated box (middle layer) and press it down using the top box and the elastic band provided along to keep it in place and apply constant pressure! 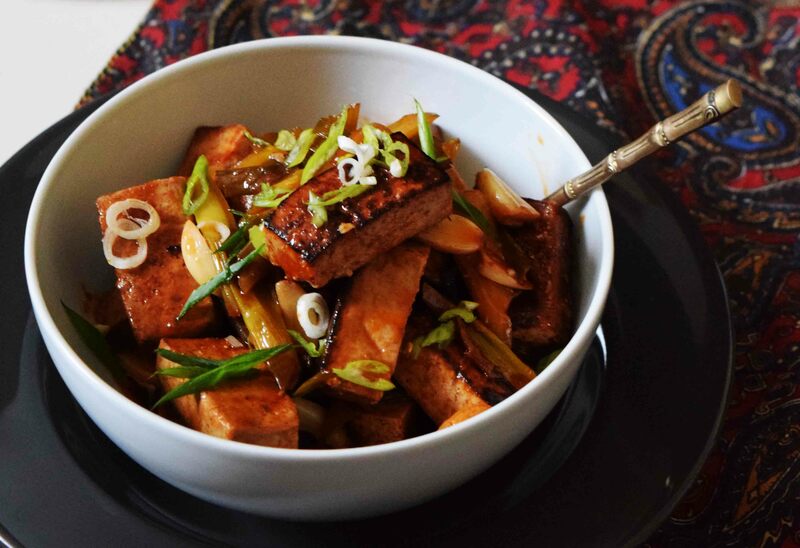 Just pop the box in your refrigerator and within a couple of hours, your tofu is ready to cook! 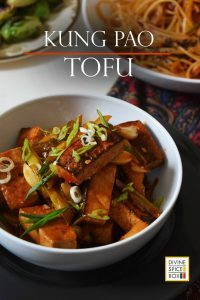 I have been using this for a few weeks now and I am totally in love with how my Tofu turns out now Give this a go! After the pressing comes the time to let your tofu sit in flavors and absorb the goodness. Make a mean- concentrated version of your favorite flavors and let time do its job on your slab of tofu. It is recommended to cut the tofu slab into desired pieces and then marinate to allow the marination to seep evenly throughout. Marination works great when you plan to use Tofu in stir fry dishes or on its own. If you are going to add it to curries, just make sure you make curry ahead of time so that the tofu gets to sit in the curry/gravy and soak up the flavors. If you like to use Tofu in place of Cottage cheese/ paneer in dishes, my suggestion is stir fry them on a good non stick skillet with some oil till it is crunchy on the sides. This makes for a crunchy exterior and a soft interior. 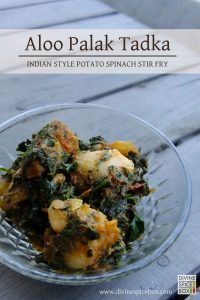 Works great for Indian curry dishes or as a crouton over soups. IF NOT SURE, FRY IT ! I usually buy the 1 pound packs of Tofu and if I am not using the whole quantity in one go, I just fry the left over batch. After you have pressed the tofu and cut into desired size, dip it in a flour+water mix or just coat with dried corn starch and fry them till crispy golden. Add in your pilafs or make a quick Chinese stir fry. I am not a fan of chewy Tofu but if you prefer it over the softer texture, by all means, cut the pressed tofu and freeze by lining the tofu on a pre-grease baking sheet and keeping in the freezer till all the pieces are frozen. Then, simply, remove the frozen tofu pieces from the baking tray and putting them into a airtight bag (ziplock works great) and storing them in the freezer. Don’t forget to write the date on the bag to remember when you froze it. Keeps good for a few weeks to even a couple of months. I really hope these tips help you love Tofu just as I do. I love to eat stir fry tofu and end up marinating mine almost always. There are really many ways to go when it comes to marination. You can choose the tamari/soy sauce route or go a salad dressing route (if you want to eat it raw or slightly toasted). Either way, it is amazing ! Now that your Tofu is prepped up and ready to be packed with flavors, how about making some KUNG PAO TOFU !! 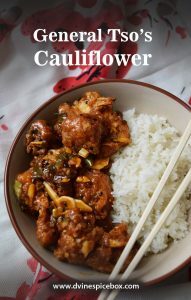 The original Kung Pao chicken recipe calls for lots of whole dried red chilies and peanuts but in this recipe, I have used peanut butter and sambal oelek to make sure Tofu soaks up all those flavors and keep the look of the dish clean and simple! 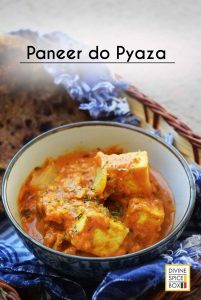 Make ahead of time or whip up at a moment’s notice, this recipe never fails to impress all!! Combine all the ingredients for the sauce and keep it aside. Heat up the wok and add in 1 tablespoon oil. Now add the marinated pieces of Tofu and roast till golden brown on both sides. Once done, remove and keep aside. Finally, add in the roasted Tofu pieces along with the leftover marinade (taste the sauce before adding the marinade to make sure there is not excess salt in the dish). Mix everything together. As per need, you may add some water. Adjust spices. 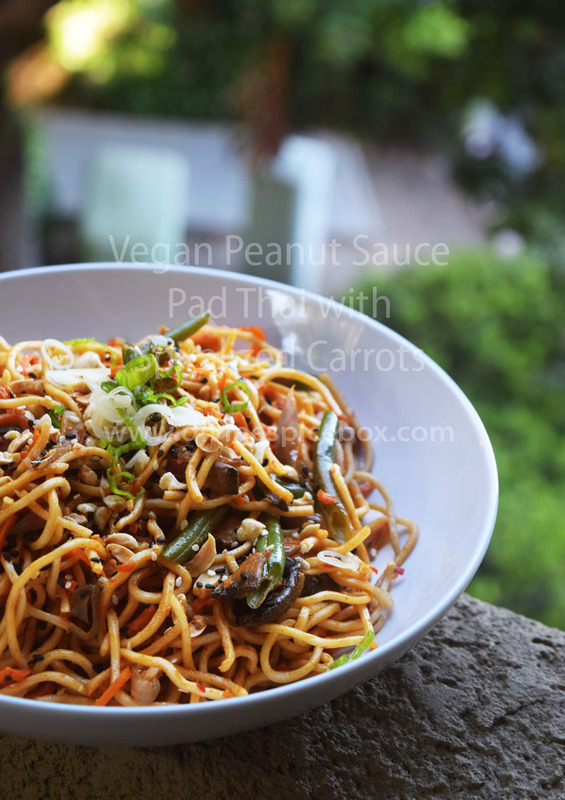 The post Vegan peanut sauce “Pad Thai” with spiralized carrots appeared first on Divine Spice Box. I have been hoarding on Oriental sauces for as long as I have been cooking. Whenever I visit an Oriental grocery store, I head straight to the “sauces” aisle and end up picking up all sorts of vegetarian/ vegan sauces I can get my hands on. Would you believe that I have about 6 types of chili sauces and that I buy my Soy sauce by the liter? It is no surprise that many of my dishes feature Soy sauces and chili sauces. I think both of these sauces along with some sweetness (coming from Honey or Sugar) really works in harmony and I simply can’t get enough of it! I use that base sauce in my stir fries, Noodle dishes, Tofu dishes and what not. Recently, I was gifted a Spiralizer and I am absolutely fascinated with my new machine! 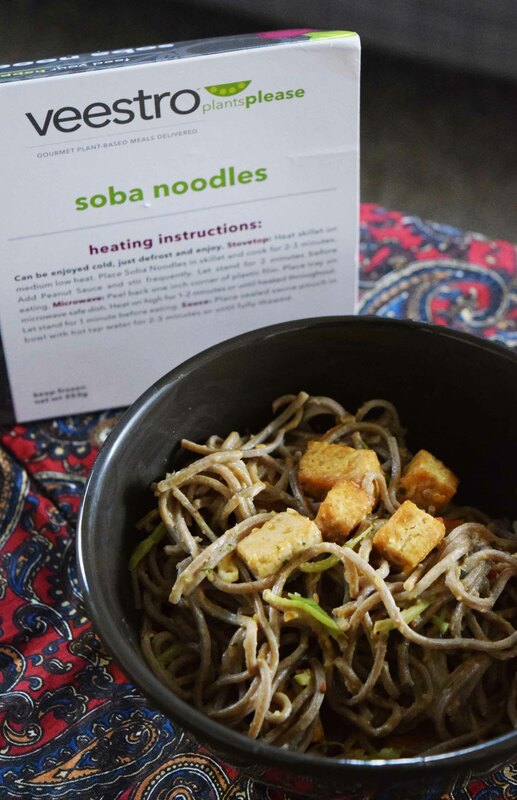 It turns vegetables into noodles and all of a sudden you have transformed your veggies into something awesome! 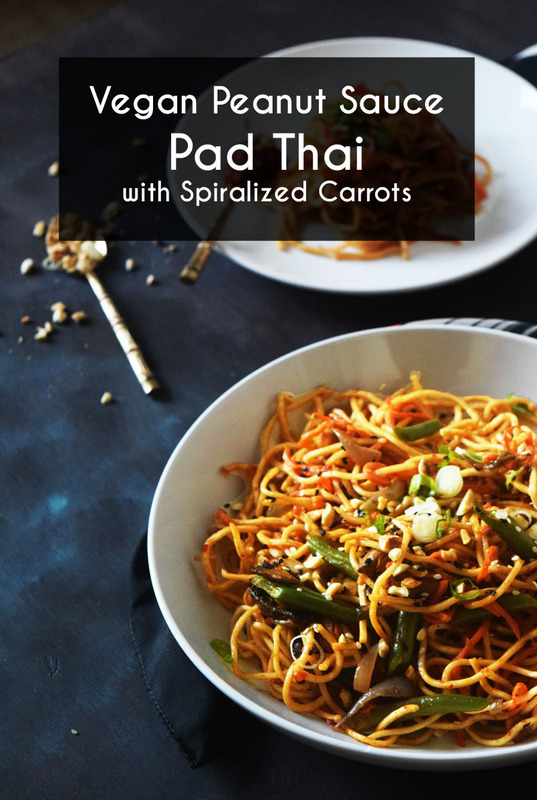 I have tried zucchini noodles in recipes before and it turns out great This time I thought of making carrot noodles (or caroodles :P) and adding into my Pad Thai to sneak in a lot more vegetables in my noodles and it has worked really well in this recipe! Have a look for yourself … such vibrant food! That is not all !! 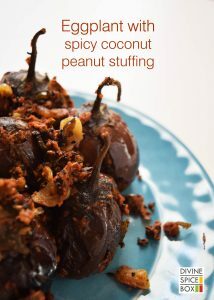 I am also making a fun sauce to add to this Pad Thai using my favorite ingredients – Peanut Butter and Tamarind. I have used peanut butter with tamarind many times before for stir fry and Thai curries and I am amazed by how well the two work together. I remember using Tamarind sauce instead of Lemon juice in Thai curry once (I ran out of Lemons :P) and have never gone back. You have to try the pairing. 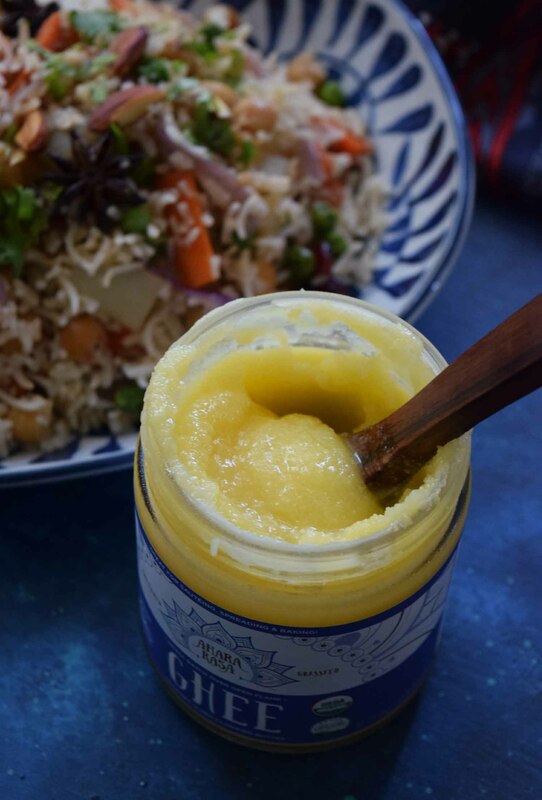 The peanut-tamarind sauce I am using in this recipe is delicious on its own and you can totally use it as a dipping sauce for dumplings, noodles, spring rolls etc. Give it a go and you can thank me later lol. 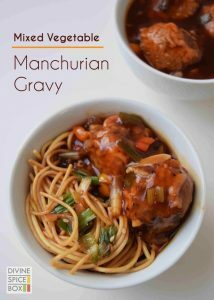 Now, I am getting really hungry and I think before my tummy rumbles, let us dive into the recipe right away!! Mix all the ingredients for the Peanut sauce and keep aside. Cook the noodles to Al-dente using the instructions on back of the pack. Keep aside. Take a wok and add the oil and heat. Once hot, add in the ginger an garlic and saute for a couple of seconds to release the flavors in oil. Add in all the vegetables (except spiralized carrots) and saute for 3-4 minutes on high flame. When the vegetables are soft and cooked, add in the spiralized carrots and saute for another 2 minutes. Pour in the peanut sauce and saute for a couple of seconds. Add in the cooked noodles and toss around to mix everything. Sprinkle sesame seeds and roasted peanuts on top and serve immediately. 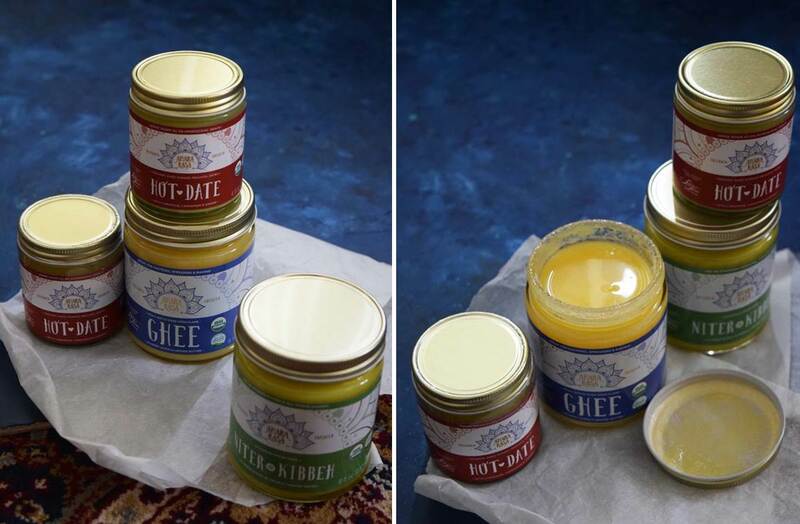 The post Bhakti Chai – taste test and product review appeared first on Divine Spice Box. What is your go to morning beverage? The drink that awakens your senses and charges you to take on the day ? Mine has to be a big cup of masala chai ! It is always a pleasure to be in the company of a spicy and aromatic chai. We all have seen the hot chai but have you tried iced chai before? We are discussing this and much more in this post. Today in our kitchen, we are reviewing a very interesting range of Chai by Bhakti and picking our favorites ! Sounds exciting right? So, let us get brewing !! Born in an Indian family, I have grown up enjoying Masala chai and untill now, I am pretty sure I have had thousands of cups. I love to start my morning with it and it is now a part of my daily routine. Believe it or not, I have a whole pantry shelf dedicated to teas & have a personal collection of various teas- ranging from oolong, black to Herbal blends and Matcha tea! Each one of them unique, each delicious! I recently got to know about this brand by the name Bhakti and the name itself got me nostalgic ! I moved out of India 4 years back and naturally anything remotely Indian makes me reminisce all the things I love back home. In Hindi (the official language of India), Bhakti means “Devotion” and it has a very strong significance in the Indian culture. To understand the reason behind this name for the brand, I went and checked out their website where I got to know about the founder’s inspiration behind the product line. In India, it is considered a welcoming gesture to offer Chai and snacks to your guests. 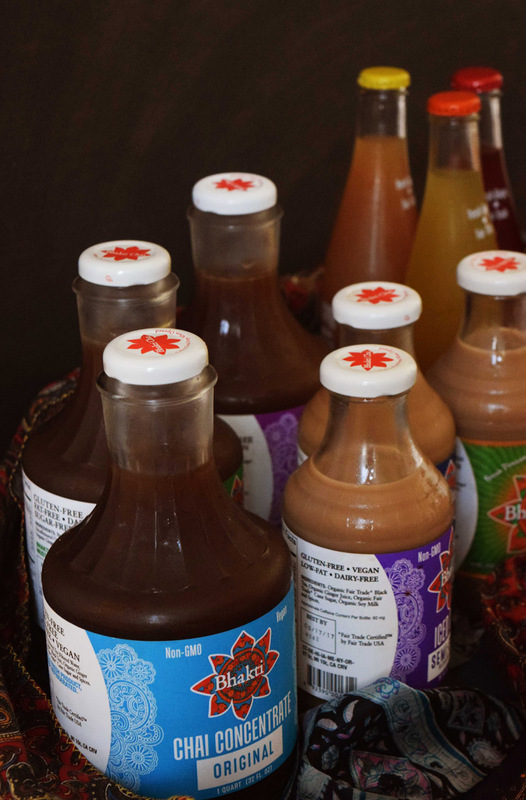 It is interesting to see how the founder of the Bhakti brand, Brook Eddy, fell in love with the ritual of offering tea to guests and what started it all, the Indian tea! One of the very first reaction was – wow ! What a range !! I got my hands on some of their sparkling teas, three of their iced chai variations and some concentrates. To start, I found the packaging design simple and elegant. The colors, the chakra logo and the mandala patterns – all adds up to make it look like an Indian inspired product. I Love it !! I was very eager to try out the products and check for authenticity. So, I quickly whipped up a batch of chai using their Original Chai concentrate and tried it out. Have to admit.. I loved it!! This concentrate has strong flavors of cardamom and freshly pressed ginger in it along with the black tea. Not only that, It is really as simple as adding the milk of your choice and boiling it! These concentrates comes in various flavors and some of them have the sugar added in which is perfect! All you need is some milk of your choice. 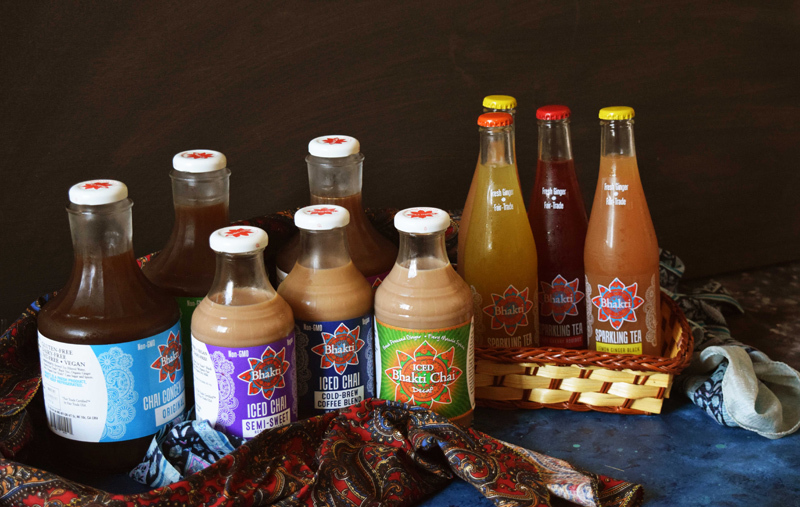 Verdict – The chai concentrates make some excellent chai and the taste is pretty much authentic. What I really like about this concentrate is that it has the rich extracts of ginger and cardamom which is a very “Indian way” of making tea and makes this product line stand out from the other chai beverages I have tasted . Personally I am not a big fan of cardamom, so it was a little too strong for me but my husband loved it! Okay! Lets talk about the Iced Chai. Have you ever had any ? Well this was my first and I have to admit, it was something very new for me. I mean we all have had iced teas but Bhakti chai goes the extra mile with theirs. 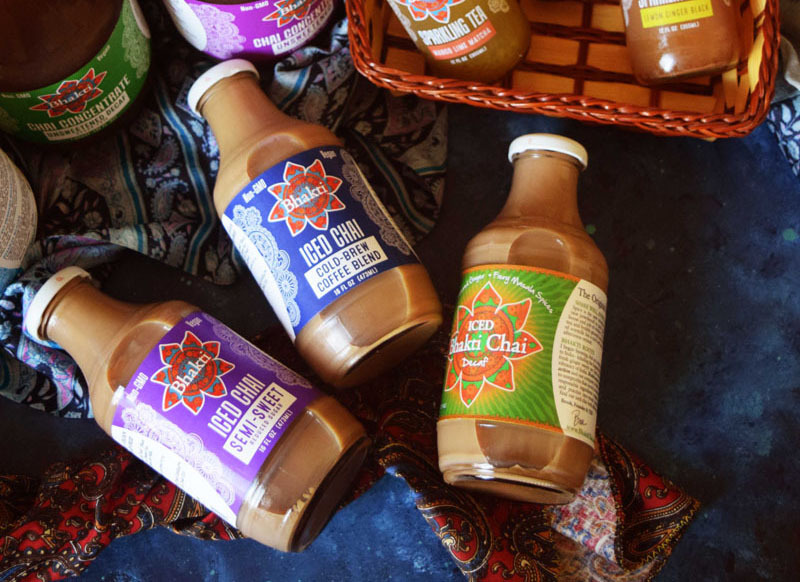 These vegan chais comes in many regular flavors but they also have a few interesting flavors like Toasted Coconut Almond chai and Cold Brew Coffee blend. I was able to find the coffee blend (which I was really excited about btw) and found the flavors really unique. I could have never imagined mixing the 2 flavors but to my surprise, they work well ! These bottles are great to “grab and go” and enjoy with lunch. Other flavors include – Original, Semi Sweet, Almond Milk and Decaf. Imagine a pop/ soda which is tea flavored(and much less sugar!) but also has more complex notes of citrus an fruits (sometimes berries)… thats how I would define these sparkling teas. When I tried them, I was sort of apprehensive, mostly because the names of these teas sent my brain mixed signals of what to expect inside. For instance, the “Mango Lime Matcha” (which is my favorite) made me remember the Indian drink Aam Panna (drink made with green mangoes, limes and sugar) which is usually served in summers to rehydrate the body . These flavors with a matcha tea infusion was a pleasant surprise and it instantly got my approval. Try this or one of their other flavors – Lemon Ginger black, Tart Cheery Rooibos and Mint Mate. 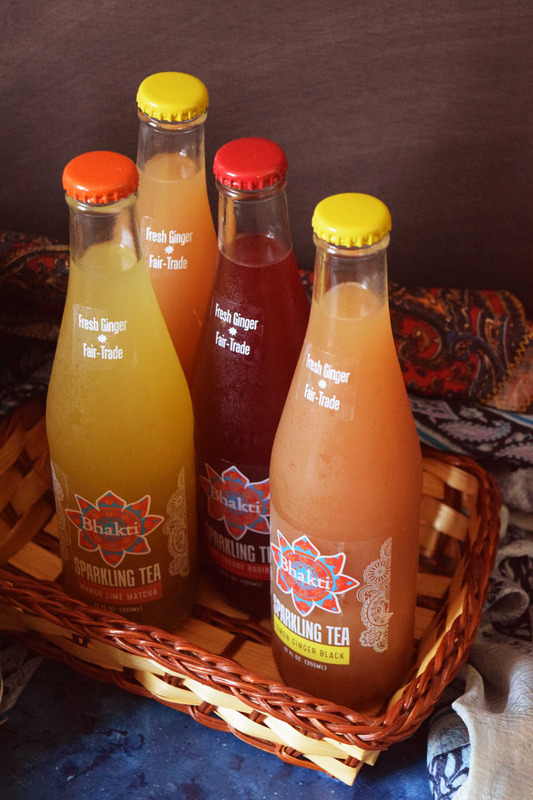 If you get a chance, you must try these sparkling teas … they are a real delight! Overall I love the products by Bhakti and I am really glad to see a product which has done justice to Indian Chai flavors in the true sense ! Thank u Bhakti Chai for these wonderful samples I can’t wait to use some of them for a fun recipe… look out for that post!! It is going to be amazing Check out their entire line of products here. Peeps, I am sure all this chai talk is making you itch to try some on your own. So, why don’t you hop on to their website and have a look yourself? You can also check out their twitter and instagram page for some recipe ideas!